Are You Supporting or Destroying Your Health? - YeastInfection.Org by Eric Bakker N.D.
You are here: Home / Yeast Infection Treatment / Are You Supporting or Destroying Your Health? August 26, 2013 by Eric Bakker N.D. I have always been big on trying to identify the cause of a person’s yeast infection, because if I can understand what caused their yeast infection in the first place then I can probably help that person turn things around and get rid of it. It sounds simple in theory doesn’t it? But it isn’t always that easy to uncover one or several of the causes of a yeast infection, a person may have had their yeast infection for twenty, thirty or even for fifty years and in such cases it may even become an almost impossible task to determine how this mess all started. One thing is for certain, there were one or several causes, and that cause was a stress to the body which either occurred on an emotional, mental or physical plane or a combination of one or more of these factors. This stress, a health buster, created a shift to the left of the stress pyramid I have drawn (see diagram), and when that shift occurred the patient became increasingly susceptible, and as their resistance dropped they increased their susceptibility for a bacterial, viral or fungal infection. Many people who develop a yeast infection do so because their immune resistance becomes compromised and their susceptibility towards a yeast infection increases. If you look at the diagram below you will see a line with susceptibility on the one side, and resistance on the other. In the middle you will see a pyramid with the word stress in it, and to the right you will see the words emotional, mental and physical. But what does this mean, and what has stress got to do with getting and keeping a yeast infection? To answer these questions we need to take a closer look at how diet and lifestyle affect immunity and increase your susceptibility of contracting a yeast infection. Likewise, if a person decides on health building activities, their resistance will increase and their susceptibility will drop. 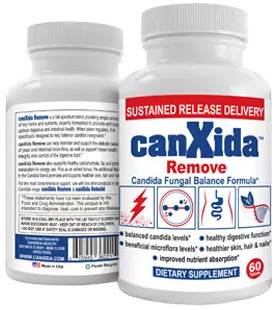 Like any infection, candida yeast infections occur for a reason; you develop them because you became more susceptible to them due to various health busting activities. Candida health busters are often the exciting and maintaining causes of yeast infections. These causes break down the body’s resistance and affect the immune system either directly or indirectly by causing problems with the HPA (stress) axis, which I will explain shortly. The cause of a yeast infection may occur as a stand-alone occurrence, such as taking an antibiotic, but will occur more commonly due to a combination or accumulation of these causes or triggers. Mental and Emotional – anger, hatred, jealousy, envy, greed, anxiety, depression, other negative attitudes and beliefs, work related stress, financial pressures, fears and phobias, marital or relationship stress, unemployment stress, study/mental over-exertion, death of a loved one, prison term, birth of a child, divorce, lack of relaxation, constantly driving yourself, trying to be perfect. Physical – Smoking, alcohol, caffeine, junk foods, poor eating habits and a general lack of good food, sugar and white flour products, yeasty and moldy foods, toxins, chemical toxicity, heavy metal toxicity, over-exertion or over-training, antibiotics (a big cause), prescription and non-prescription pharmaceutical drugs (antibiotics, the Pill, etc. ), adrenal fatigue and thyroid imbalances (common), no exercise, damp or moldy living conditions, infections (acute and chronic), root canal therapy, mercury amalgam fillings. EMF (mobile phones, radiation, microwaves, etc.). Physical causes also include environmental causes like wearing nylon underclothing (increasing the risk of jock itch or vaginal thrush), wearing socks and shoes for too long (toe nail fungus), and having hands wet for too long (fingernail fungus). Over-breathing can be a cause of many different health problems; many people hyperventilate due to stress.